This roofing system received hail damage. Roof It Forward was called out to inspect and meet with the insurance company. After meet with the insurance company Roof It Forward received a full roofing system replacement.The result is a beautiful roofing makeover. The shingle used is the Owens Corning Duration shingle. This amazing shingle has a limited lifetime warranty and a 130 mph wind rating. Roof it Forward has completed another roofing system in Beech Grove Indiana. This siding style is double 5 Dutch Lap profile in the color Tan. Roof it Forward installed all new roofing, siding, aluminum fascia and soffit on this project. Contact Roof it forward for your homes next roofing project. If your home has faded and worn siding and you want your Beech Grove home to look fresh and new then contact ARAC Roof It Forward today for your siding installation and replacement needs. We can install vinyl siding on your home so you can have vibrant colors that will last decades that are easy to clean and can take a beating from the elements. We also install rigid foam insulation under the siding which will add to your Beech Grove home's comfort while saving on energy bills. Contact ARAC Roof It Forward today, your trusted Beech Grove, IN roofing & siding contractor! With Roof It Forward and the Owens Corning Duration shingle the curb appeal is instant. 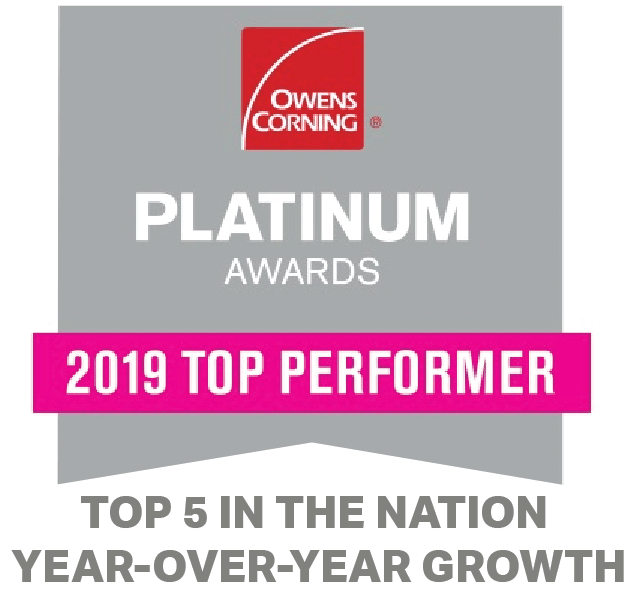 The Owens Corning Duration shingle carries a 130 mph wind gust rating. The shingle is Teak Color.